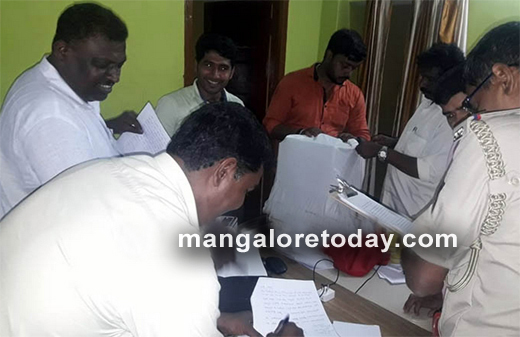 Bantwal , July 12, 2018: Acting on a tip off that unauthorised Aadhar registration was underway, officials led by Bantwal Tahsildar Purandara Hegde raided a house at Kelaginapete and seized several equipment used for Aadhar registration including a laptop, printer, scanner, eye scan, digital camera, biometric and GPS system. The house belonged to a leader of a party who has claimed that the centre was operating with permission. However, the official team found no such records that substantiate his claim. During the raid it was found that over 100 Aadhar registrations were done on Monday and Tuesday. The Tahsildar has directed officials to take necessary action against those found guilty.